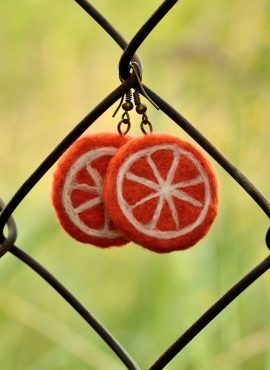 Orange slice earrings in kawaii style made in felting technique. 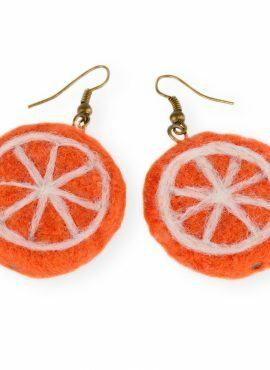 They are very lightweight but their orange color makes them hard to miss. 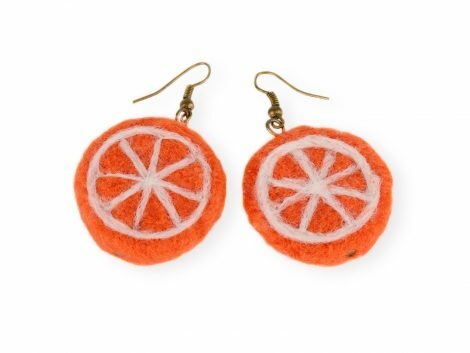 These orange slice earrings have kawaii style. 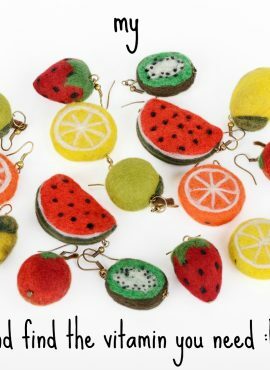 They hang on metal earring hooks in antique bronze that fit perfectly with the color of felted fruits (silicone stoppers attached). We make these citrus earrings by hand in felting technique. 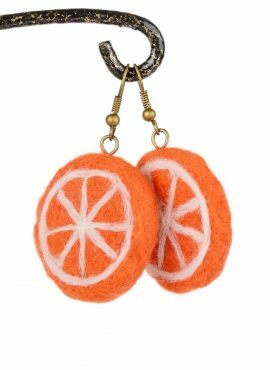 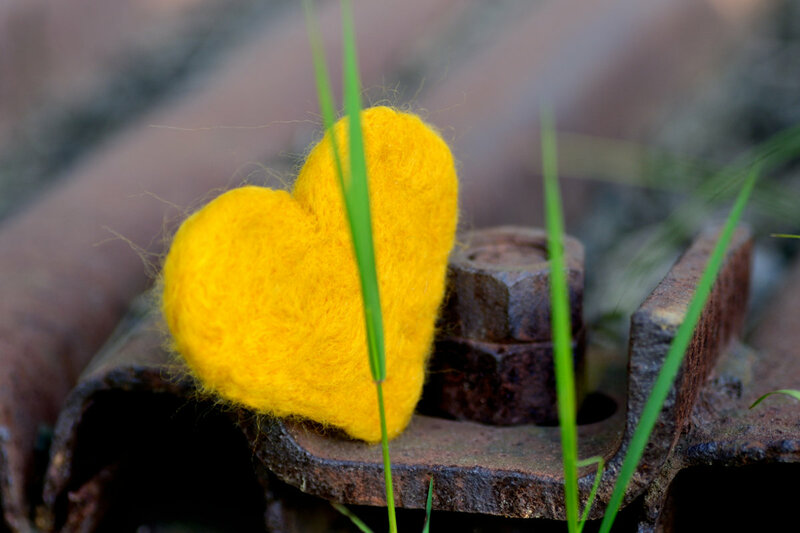 They consist of orange and white merino wool, and thus are lightweight, soft and nice in touch. 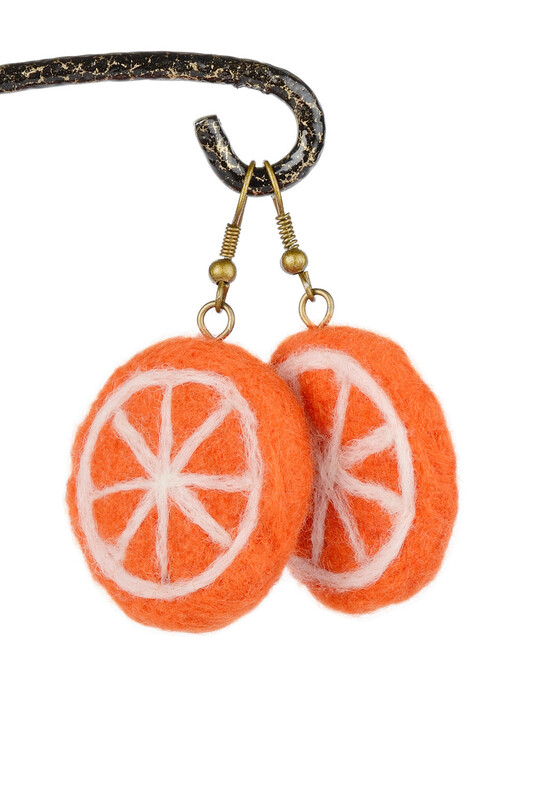 Although you will barely feel their weight, their orange color makes them hard to miss. 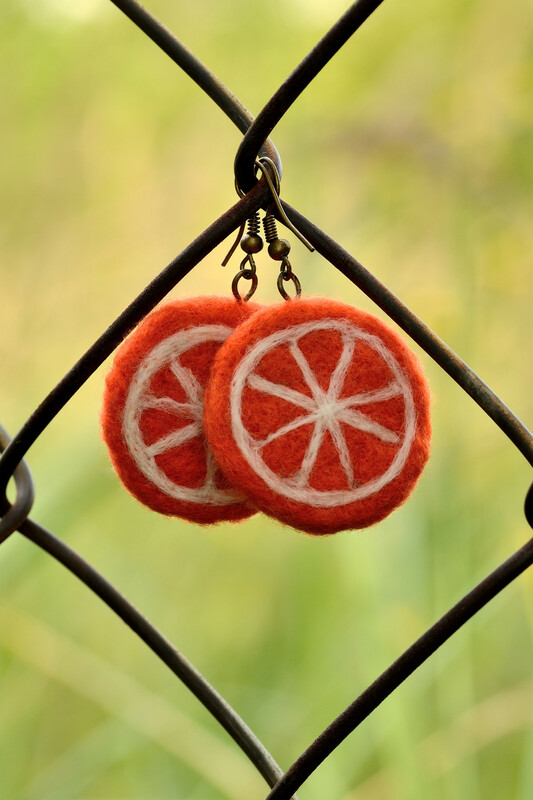 These orange slice earrings will fit with many styles of clothing. 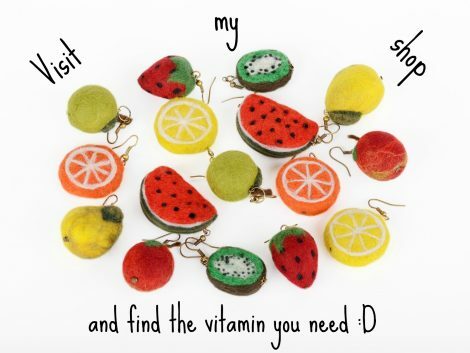 They are great for teens and women, who love summer fruit jewelry. If you are one of them, they will certainly win your heart and make your outfit fresh and sunny all year round.